On September 18, 2009, at 11:19 PM, my mother, Kathleen McKenzie passed away after a long battle with metastatic breast cancer. The last months of her life were far from peaceful, and she suffered a great deal. That suffering was compounded when, on August 7, we lost our last deerhound, Rebel, at the age of 10 and a half. It was the first time in nearly 30 years we'd been without a Scottish Deerhound, and my mom was bereft. On Tuesday, September 8, she received some very special visitors. Cecilia Arnold of Gwent Scottish Deerhounds, who bred our very first deerhound, Tim, paid her a visit with two of Timmy's distant relatives in tow. That visit was the definition of joy for my mom. She dissolved in tears when she saw the dogs, and didn't stop smiling until they'd been gone for hours. That night she told me that being with those deerhounds had opened her heart to joy for the first time in months. Even though her arms were swollen and writing was hard, she shakily hand-wrote a note to Cecilia thanking her. That visit gave my mom new heart, but sadly, the very next day, her femur shattered from a tumor and in just over a week, she died in the hospital. 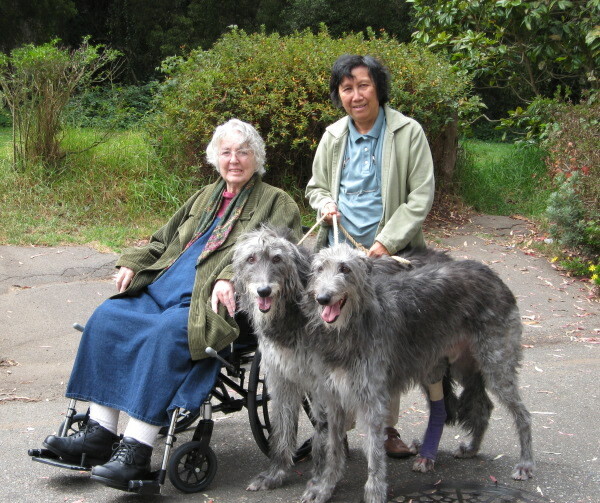 I will always be filled with gratitude to Cecilia not only for bringing our first beloved deerhound into our lives so long ago, but for giving my mom so much happiness, and giving me such a perfect memory. Beginning to end, Cecilia, you were there. I'll never forget you for that. And I will never, ever forget you, mama. I imagine you very happy right now, surrounded by all your hounds and loved ones, sipping tea in dog heaven. If you are interested in a deerhound, please contact Scottish Deerhound Breeder Referral. 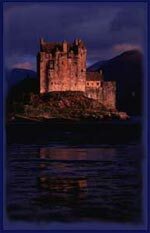 If you wish to contact Christie Keith for some other reason, please use this link, to prevent spam. Thank you.